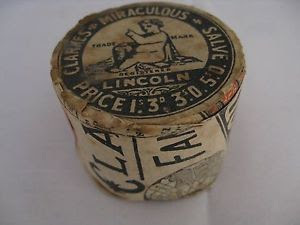 Francis Jonathan Clarke was born 1841 in Lincoln and lived for just 46 years. 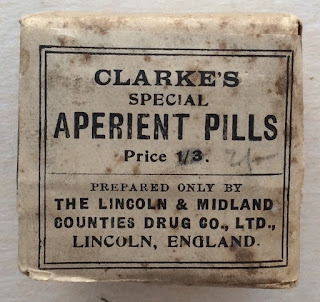 He is recorded as a druggist based in Lincoln and was a prominent citizen of the town and was elected mayor on four occasions. 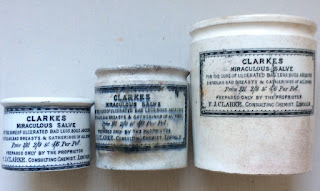 F.J. Clarke, born 1814, was the son of David Clarke. 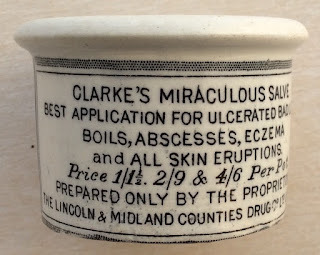 In 1868, following great success with the business, F.J. Clarke moved to large prestigious premises at 214 High Street, Lincoln. 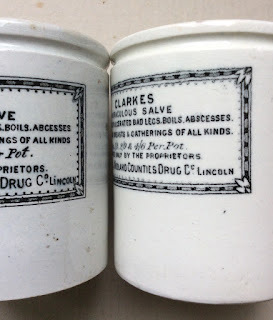 During the 1870's Clarke formed the Lincoln & Midland Counties Drug Company. 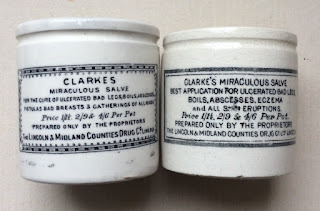 Following the death of Francis Clarke, the business continued under the directorship of Frederick Brown. 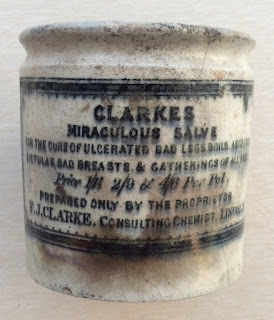 The earliest pot bears the inscription 'Prepared Only By The Proprietor / F.J.CLARKE, CONSULTING CHEMIST, LINCOLN. 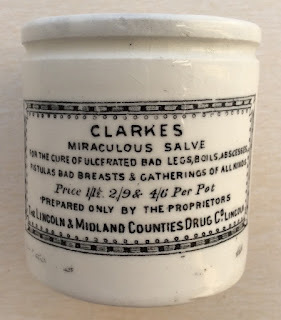 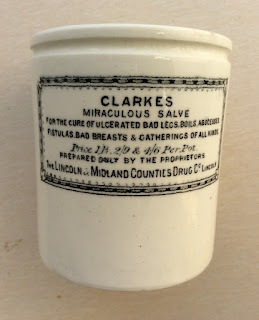 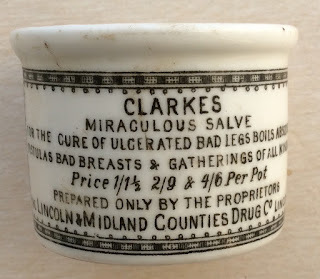 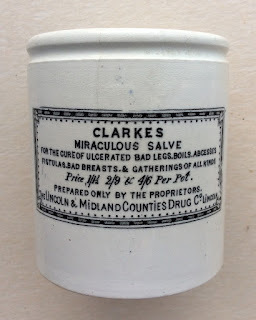 There are also three sizes of the first variation of the pots bearing the name of Clarke's / Miraculous Salve and each show the company name of The Lincoln & Midland Counties Drug Co. Lincoln. 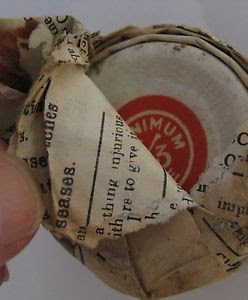 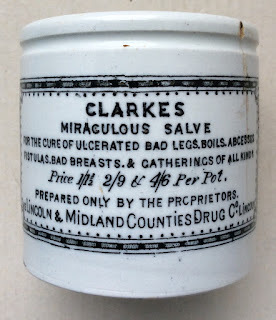 This earlier version uses the wording 'For The Cure Of.....' and was used from around 1870 until 1910. 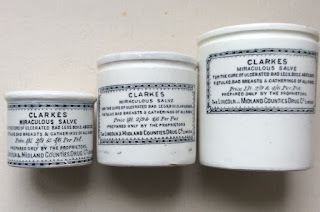 The prices listed for these pots are 1/1½, 2/9 and 4/6. 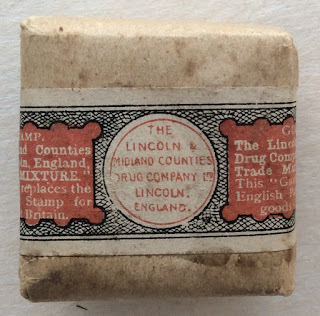 The company also became 'Ltd'. 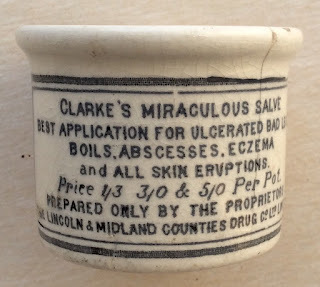 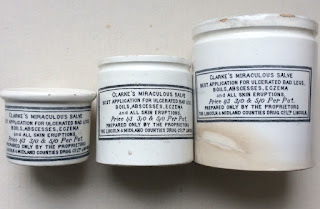 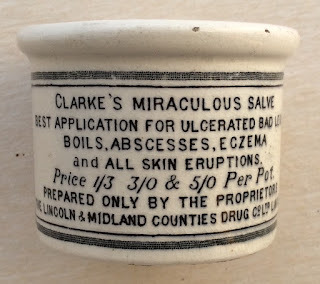 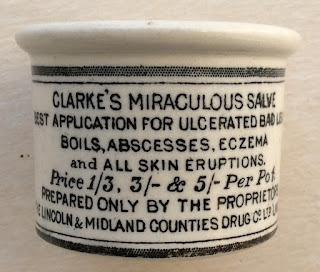 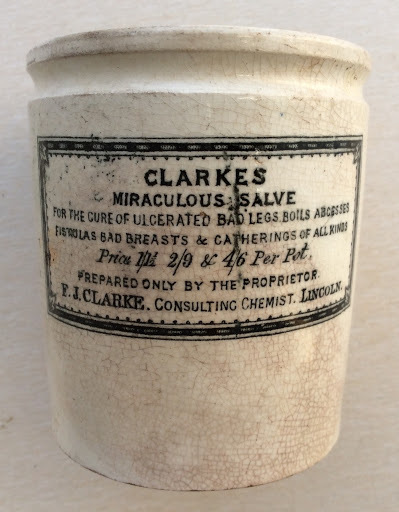 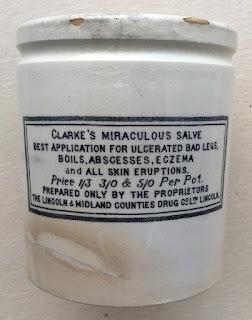 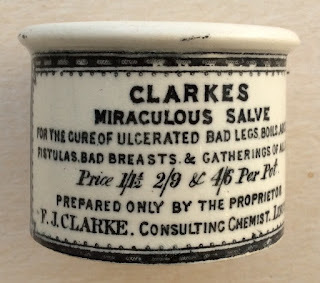 Later pots with Clarke's Miraculous Salve (on one line) use the changed wording of 'Best Application....' and omits any reference to cure. 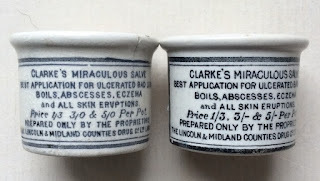 These pots were used from 1910 to around 1920. 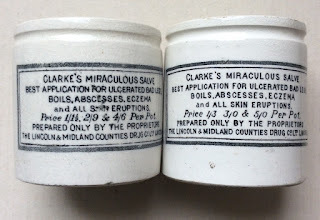 A price increase is evident where the prices changed to 1/3, 3/0 and 5/0. 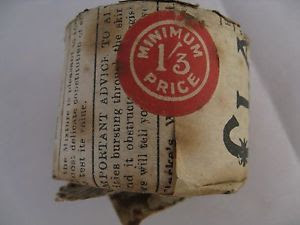 A variation exists whereby the prices are listed in the format 1/3, 3/- and 5/-. 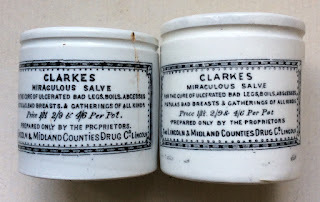 Long & short slashes in the prices !! 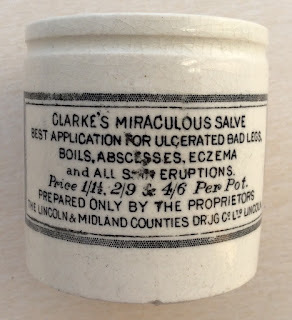 Further information regarding the history of the manufacturers can be found in the Historical Guide to Delftware and Victorian Ointment Pots book produced by Messrs. Houghton & Priestley, pages 58 to 60.